'You're not Mia Thermopolis any more, honey,' Dad said. 'You're Amelia Mignonette Grimaldi Thermopolis Renaldo. Princess of Genovia.' A PRINCESS?? ME??? Yeah. Right. One minute Mia's a totally normal Manhattan 14-year-old. Next minute she's heir to the throne of Genovia, being trailed by a trigger-happy bodyguard, taking princess lessons with her bonkers old grandmere, and having a makeover with someone called Paolo. Well, her dad can lecture her till he's royal-blue in the face, but no way is Mia going to turn herself into a style-queen. And they think she's moving to Genovia? Er, hello? The Princess Diaries by Meg Cabot has been a phenomenal global success. This ever-popular series continues in the second book, A Royal Disaster. 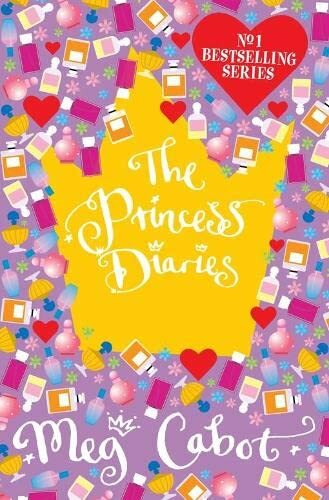 The first book in the fantastic The Princess Diaries series! Meg Cabot's novels for teenagers have sold millions of copies around the world - and more than one million in the UK alone. Her bestselling titles include the phenomenal The Princess Diaries series, Notebooks of a Middle-School Princess for younger readers, and her New Adult novel featuring Princess Mia - Royal Wedding. Meg lives in Key West, Florida with her husband and various cats, and says she is still waiting for her real parents, the king and queen, to restore her to her rightful throne.